Brewing – Kristen D. Burton, Ph.D. This past week, I presented on the panel, “Beer and Taxes: Nothing Can Be So Certain,” at the Sixty-Second Annual Midwest Conference on British Studies in Detroit (hosted by Wayne State University). My paper, “Subversive Brewers: Ale and Tax Evasion in Medieval and Early Modern England” featured research completed for my M.A. thesis. I had not returned to my thesis in roughly six years, so it was an amusing, and at times cringeworthy, experience. Still, dusting off my thesis reminded me of how much fun I had researching the history of beer. It remains a topic near and dear to my heart. For those interested, my entire thesis is available online, either through the Proquest thesis database or at Academia.edu, but a snippet of the paper I presented in Detroit is included below. Along with setting the price of ale, the English government also regulated the size and cost of serving measurements. The London Aldermen only allowed three measurements for selling ale: the quart, the pottle, and the gallon. An Assize from 1277 declares that, “no brewster henceforth sell except by true measures, viz. the gallon, the pottle and the quart. And that they be marked by the seal of the Alderman.” The law required all brewers to have their quart, pottle, and gallon containers inspected by an Alderman four times a year. If a brewer brought any container to the Alderman that did not meet the measurement standard – the wooden serving containers shrank over time – the Alderman destroyed the vessel. Brewers who neglected to present their measures to the Aldermen had to pay a monetary fine. A section of the Liber Albus, the first book of English common law, lists the punishments for any brewer caught serving ale in a measurement that did not have the seal of an Alderman. According to the Liber Albus, those caught breaking the laws of appropriate measurements faced a fine of forty pence and the destruction of the brewer’s measures for the first offense. The punishments increased for multiple offenses: “The second time let her be amerced to the amount of half a mark. And the third time, let her be amerced to the amount of twenty shillings.” As the government reissued the Assize of Ale, the punishments for breaking the law became harsher. A proclamation from 1316 set the cost of one gallon of ale at three farthings and one penny for the city of London. Any brewer caught breaking the ale law lost her brewery for the first offense, and she lost access to engage in the trade completely for the second offense. For the third offense, the guilty party faced exile from the city. And if any brewer or brewster be not willing to brew, or brew less than such person was wont to brew, let such person be held to be a withholder of victuals from the City, and for such disobedience and malice incur the penalty of imprisonment, at the will of the Mayor for the time being; and nevertheless, let such person foreswear the said trade within the franchise of the City for ever. Brewers not only had to adhere to measurement and cost restrictions, but they faced an obligation to engage in the trade regularly to ensure a steady supply of ale to the public. As the English government tightened its control over the brewing trade through the Assize, problems between brewers and local authority figures developed during the fourteenth century. 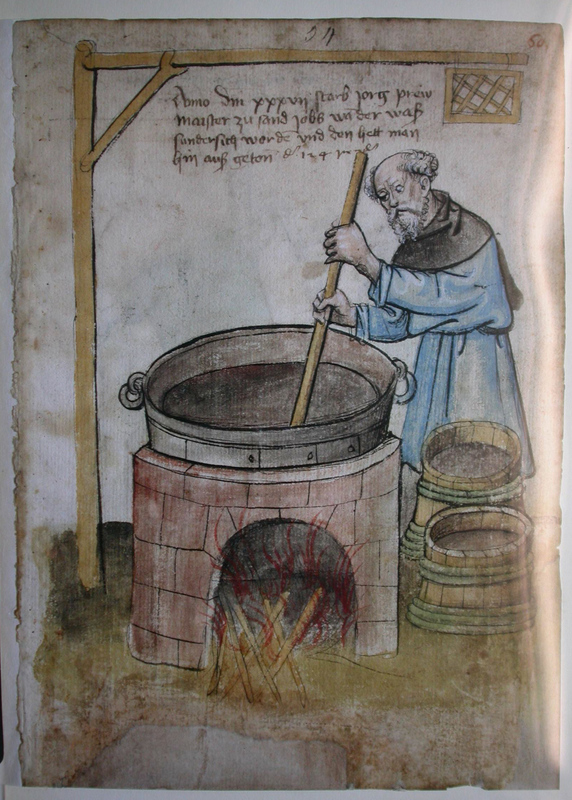 On May 19, 1350, Adam le Brewere proclaimed before both the Mayor and the Sheriffs of London that brewers deserved exemption from the Alderman’s regulation and control. Adam states that he intended to “gather together the brewers, and they would agree not to take service except by day only and at the wage of 12d. [pence] a day.” Adam’s threat to halt the availability of ale to the public resulted in his imprisonment, as, according to the Alderman, his demands directly displayed contempt for the King and the commonwealth of the people. Other brewers openly challenged and made threats in public and in the Mayor’s Court against ale taxation caused by the Assize. In 1375, a brewer named Simon Macchyng declared that the brewers of London “would or could not observe the recent proclamation” of the Assize, which put in him prison. Like Simon, Thomas Goudsyre also faced charges of imprisonment in the same year for refusing to sell a gallon of ale at the legal price. Another troublesome brewer named William Ronyn made a public declaration in a market place in November of 1375 that he and all other brewers of London would stop brewing due to the price set by the Assize. William faced additional charges for carrying out his threat, as he convinced a portion of the brewers to cease production or refuse the price of the Assize. Ale brewers made up a unique area of England’s economy during the Middle Ages and the Renaissance. Due to the wide practice of the trade and the high demand for ale, the English government regulated brewing more than most other crafts. While brewing and baking shared a similar importance, the early thirteenth-century formation of the Bakers’ Gild provided bakers with a greater advantage than brewers. Bakers faced public humiliation for providing small loaves of bread, as did other craftsmen caught breaking the law by short-changing their customers, including brewers. Unlike brewers, however, neither bakers nor members of other trade gilds had to pay fines in order to engage in their ordinary work. Instead, the English government left control of the respective industries largely to the gilds. Other craftsmen could freely manufacture goods in accordance with the law, but brewers had to pay standard fees simply because they made ale. The government regulated brewing more because it wanted to ensure the public had access to ale, but also because of the profits gained by taxing ale brewers. A pottle measured around one-half of a gallon. Sharpe, ed., Letter Book A, folio 129 b, available online at http://www.british-history.ac.uk/report.aspx?compid=33031. Monckton, English Ale and Beer, 57. Monckton, English Ale and Beer, 57-58. Monckton, English Ale and Beer, 56-7. The feminine form appears in this declaration because women made up the majority of brewers during the thirteenth and fourteenth centuries. A half-mark was equal to six shillings and eight pence. A farthing was equal to a quarter of a penny. The price for a gallon of ale cost 1 ¾ pence. Sharpe, ed., Letter Book E, folio lvii, available online at http://www.british-history.ac.uk/report.aspx?compid=33100. A.H. Thomas, ed., Calendar of Plea and Memoranda Rolls Preserved Among the Archives of the Corporation of the City of London at the Gildhall: Rolls A1a-A9, A.D. 1323-1364, Volume I (Cambridge: Cambridge University Press, 1926), 260-70; A.H. Thomas, ed., Calendar of the Plea and Memoranda Rolls of the City of London: Volume II (Cambridge: Cambridge University Press, 1929), Roll A 21, Membr. 3 and 3b, available online at http://www.british-history.ac.uk/report.aspx?compid=36685. Specific details pertaining to Brewere, Macchyng, Goudsyre, and other disruptive brewers’ appearances before the Mayor’s Court appear in chapter five. John Carpenter, Liber Albus: The White Book of the City of London, trans. and ed. Henry Thomas Riley (London, 1861), 311. A.H. Thomas, ed., Calendar of Plea and Memoranda Rolls Preserved Among the Archives of the Corporation of the City of London at the Gildhall: Rolls A1a-A9, A.D. 1323-1364, Volume I (Cambridge: Cambridge University Press, 1926), roll A6, membr. 5b, available online at http://www.british-history.ac.uk/report.aspx?compid=36660. Although wages increased following the outbreak of bubonic plague, Le Brewere’s demand of 12 d. is particularly high. Thomas, ed., Plea and Memoranda Rolls: Vol. I, roll A6, membr. 5b. A.H. Thomas, ed., Calendar of the Plea and Memoranda Rolls of the City of London: Volume II (Cambridge: Cambridge University Press, 1929), roll A21, membr. 3b, available online at http://www.british-history.ac.uk/report.aspx?compid=36685. Thomas, ed., Plea and Memoranda Rolls: Vol. II, roll A21, membr. 3b, available online at http://www.british-history.ac.uk/report.aspx?compid=36685. Thomas, ed., Plea and Memoranda Rolls: Vol. I, roll A9, membr. 2b, available online at http://www.british-history.ac.uk/report.aspx?compid=36663. The price of ale during listed in the record at this time was 1 ½ d. per gallon. Salzman, English Industries of the Middle Ages, 313-15. Bennett, Ale, Beer, and Brewsters, 47; Salzman, English Industries in the Middle Ages, 297. Brewers remained below the ranks of other gilds, because an overall social perception that brewers were public servants existed at the time. Classes begin next week at UTA, which means the past few days have been full of course prep. 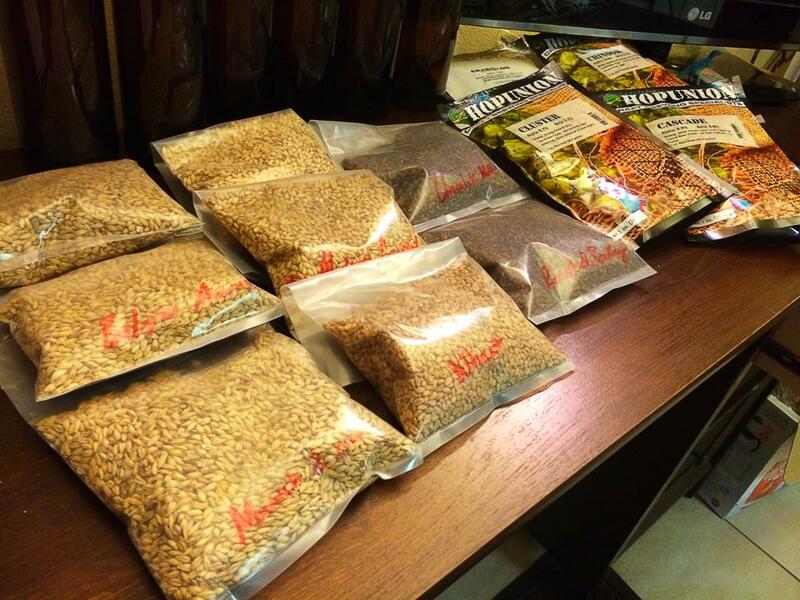 I will say, having the chance to visit the local homebrew store to buy materials for class… well, it was a nice treat. My kind of school supplies. A few seats remain. To any UTA students out there, jump in and join the fun! To everyone else not at UTA, but who may be interested in the class (a number of you have contacted me over the past few weeks), I hope to post regular updates related to the course throughout the semester. You can also follow course discussions on Twitter via the hashtag: #H4388. The course syllabus is now available. You can find it online here. Alcohol has existed alongside human settlement before the development of writing systems (and with it documented history). In spite of the era or the geographic location – with a few exceptions – humans have produced and heartily consumed fermented beverages. This history is my specialty. While the history of food and cuisine is also a strong area of interest, most of my time is spent researching the history of alcohol. Currently, I am working on my doctoral dissertation, tentatively titled: “John Barleycorn vs. Sir Richard Rum: Alcohol, the Atlantic, and the Distilling of Colonial Identity, 1650-1800.” In this I am exploring a central question: “Why did the temperance movement occur in the nineteenth century?” After millennia of continuous alcohol production and consumption patterns, why did this movement emerge to bring drinking to an end? To answer these questions, I am looking to the era prior to the nineteenth century, and the rise of mass-produced hard liquor (or, spirituous liquors) during the seventeenth and eighteenth centuries. 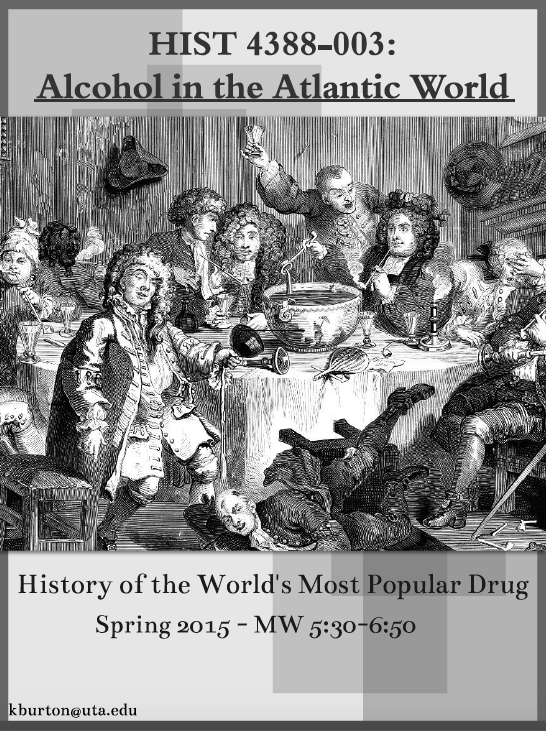 My project will show how the changing patterns of consumption, along with the emerging theories of the Enlightenment, paved the way for the growing movement against alcohol in the 1800s. This summer and fall, I will be conducting research on fellowship at the Massachusetts Historical Society and at the Fred W. Smith National Library for the Study of George Washington. Progress on my research, as well as posts on working in academia, will appear here along the way. Thank you for take the time to visit – I look forward to hearing any thoughts you may have. "The ongoing journey to a healthier positive life"